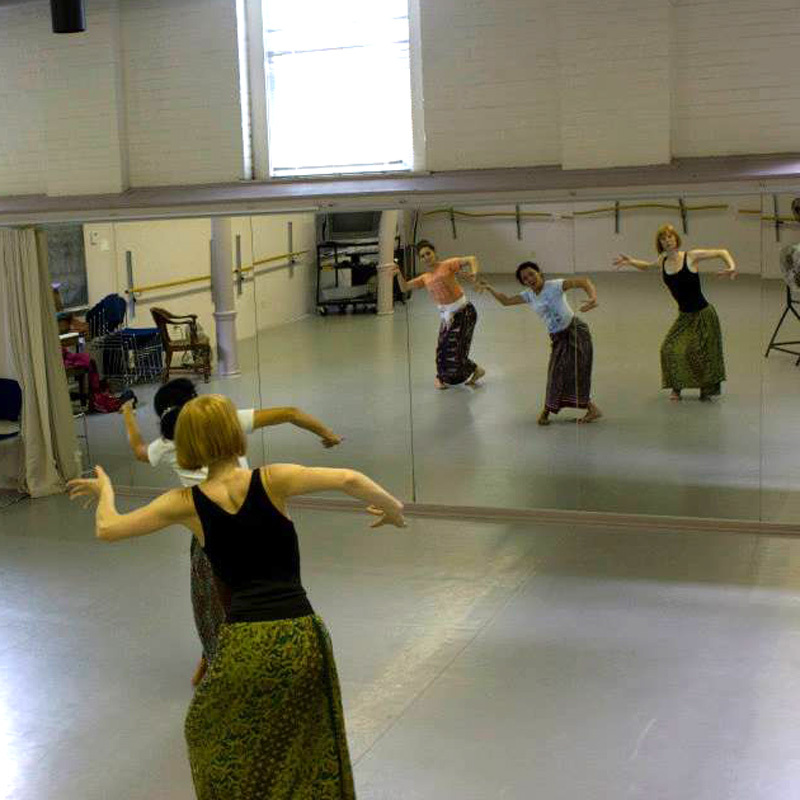 Our private programs are tailored for you or your institution, whether it be for a university, high school, community organization, music ensemble, or dance group. Workshops that we host for your group are generally scheduled on weekends. There is more flexibility if the session is held at your school or venue, although Fridays are generally preferred. Two senior members of the ensemble will introduce Balinese culture, and then discuss Balinese instruments, demonstrate basic elements of Balinese music (e.g. gong cycles, how to ornament melodies, interlocking patterns), explain basic dance positions and gestures, and lead interactive activities. 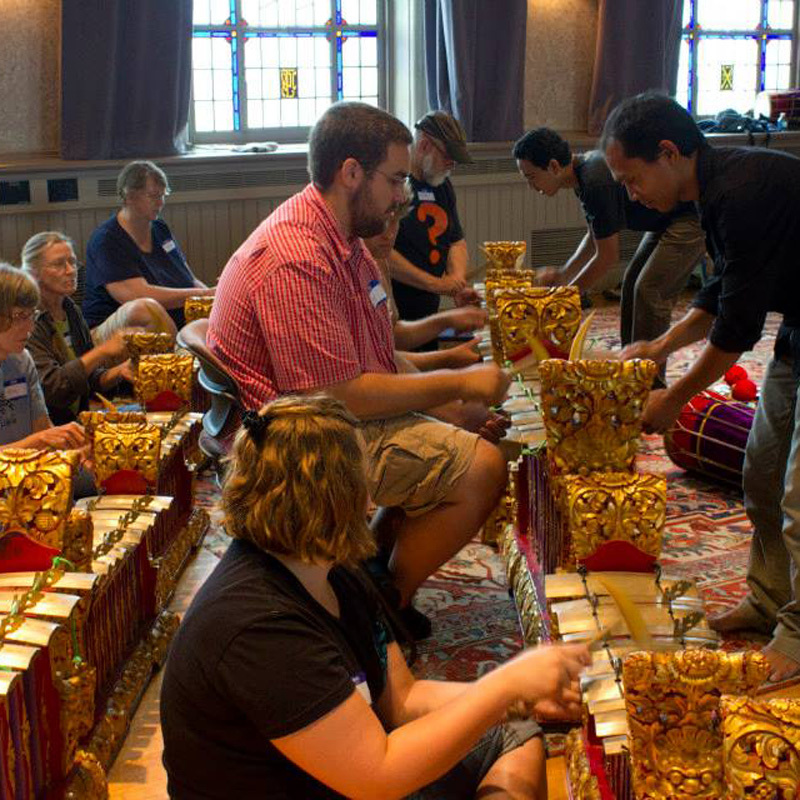 Three to five senior members of the ensemble will run a hands-on Balinese gamelan workshop. Students will learn basic elements of Balinese music, and basic techniques for playing gamelan instruments. Two senior members of the ensemble will discuss and perform three contrasting traditional dances with recorded music accompaniment. Topics discussed include basic dance postures, gestures and eye movements. This session works equally well for small and large groups of students, and is optimally held in a large, open room. We welcome people of all ages and walks of life to our popular and fun workshops – no prior music or dance experience is necessary. They are held a few times a year and are listed on our calendar for upcoming events. If you are interested in joining DS as a performing member you can audition at these workshops. These sessions are also a great opportunity to get a feel for gamelan and to find out about our rehearsal schedule.